Dana Point beaches are among the most beautiful in the Southern California. Stretching for nearly seven miles, visitors can find the perfect beach for surfing, paddleboarding, family time, sunbathing, volleyball or an evening bonfire. Dana Point beaches remain the centerpiece of life in this Orange County town, whether it’s spending the day in the waves or watching the sunset. Dana Point is basically one big beach–6.5 miles of sand. Dana Point provides easy access to beaches whether you want to go surfing or build sand castles with your toddler. Unlike other Orange County beach towns, Dana Point beaches are available right off Highway 5. Just pull onto CA-1, known as the Pacific Coast Highway, and pick one of the incredible Dana Point beaches. Doheny State Beach offers outstanding swimming and surfing on a one-mile stretch of jaw-dropping coastline. Volleyball, basketball, cycling and other activities are available at Capistrano Beach along scenic south Dana Point. Salt Creek Beach and Strands Beach are known for their surfing, but they are also popular for swimming and sunbathing. And, of course, Baby Beach between Dana Point Harbor and the Ocean Institute takes after its namesake with mellow ocean waves and plenty of nearby restrooms and restaurants for families. Learn more about Dana Point beaches and then find the perfect sandy spot for your getaway. Of all the Dana Point beaches, Baby Beach is the calmest. Nestled between the Dana Point Harbor and the Ocean Institute, the jetty blocks waves from disrupting the water. Locals will tell you there is no easier place to bring kids. It is aptly named to reflect its status as the best beach for babies and young children. The calm waters make it the perfect place to introduce them to seaside bliss. It’s more like sitting by a calm lake than a mighty ocean. There is also a small roped-off section of water for swimming without having to worry about run-ins with paddleboarders and kayakers. Those interested in launching their paddleboard and kayaking adventures from Baby Beach can use the launch zone. Baby Beach offers picnic and BBQ space with a gorgeous view of the harbor and idyllic California cliffs. Picnic spaces are first-come, first-serve. When you hear the word ‘Capo’ in Dana Point, it doesn’t always refer a tool for a guitar. It’s probably a local referring to Capistrano Beach. 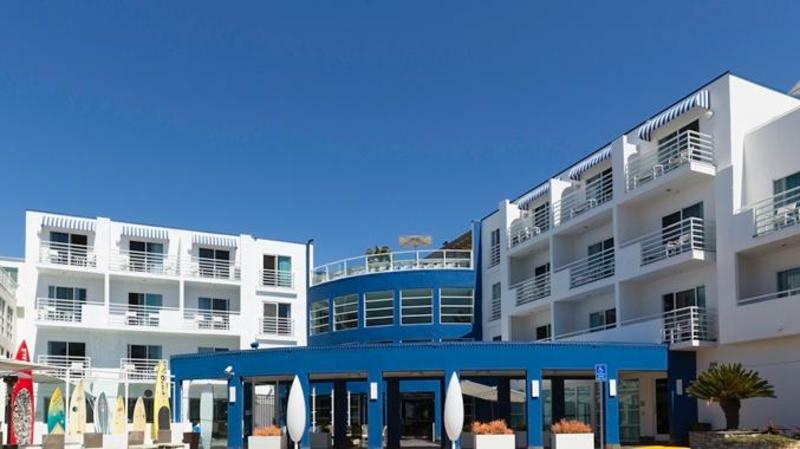 The southernmost Dana Point beach offers extensive facilities including a basketball court, beach volleyball courts, boardwalk and lots of parking for easy access. Just remember to bring some spare change to feed the meters. When you visit Capistrano Beach, feel free to bring a cooler so you can camp out for the day. Leave your glass containers at home, though. During the summer months, a concession building offers fishing gear rental and sales, food and beverages and beach supplies in case you forget anything. Of all the Dana Point beaches, Doheny State Beach is the most iconic. 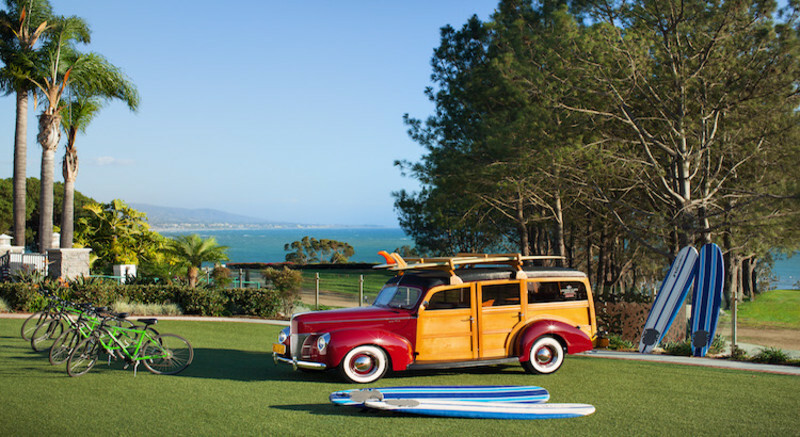 Long before Dana Point became a town in 1989, surf enthusiasts loaded up their cars and parked directly on the beach for a day of catching waves, sunbathing and beach bonfires. Doheny State Beach conjures up images of teenagers with surfboards leaned against their Chevy Bel Airs, enjoying the carefree, post-World War II vibes with friends. Doheny State Beach features over one mile of sandy beach and some of the best swimming and surfing in California. If you want to wake up to the smell of salt air, you can camp at Doheny State Beach. The campground features 121 developed family campsites and the picnic area has 170 picnic tables and 99 barbecue grills. While dogs are not allowed on the beach, you can bring your furry friend to the campground, including day use and picnic areas, as long as they are on a leash and an adult is with them at all times. There are park entrance fees for motorized vehicles, which covers your parking, but you can save a few dollars by walking or biking into the park. Parking is on a first-come, first-served basis and this popular beach can get busy on the weekends. Monarch Beach, located at the base of the Monarch Beach Resort, is named because of Monarch Bay’s legacy as a breeding ground for monarch butterflies. 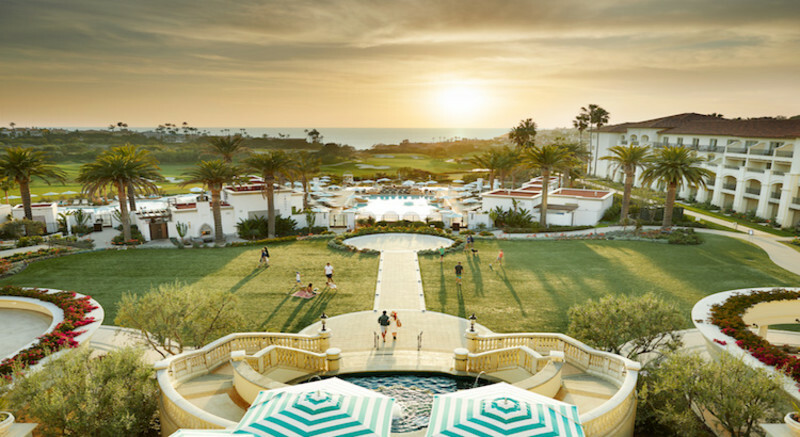 Monarch Beach is accessible to the public as well as guests at the resort and Monarch Beach Golf Links. 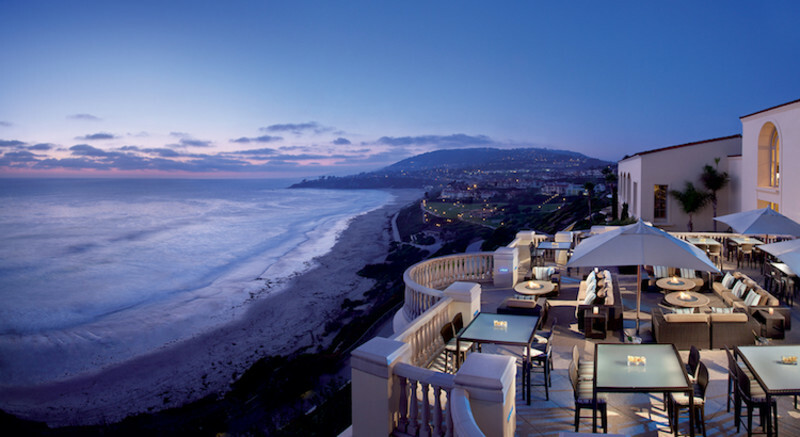 To get to Monarch, visitors can park at Salt Creek Beach Park near The Ritz-Carlton, Laguna Niguel. Walk down the beach and head north along the wide sandy beach and you’ll come across the Monarch Bay Beach Club. Facilities at the beach club are private, but anyone can enjoy the wide expanse of sand and sunshine. This expanse of beach is perfect for an evening stroll with a loved one. At Salt Creek Beach, a small, offshore reef creates some of the best left swells along the entire Southern California coast, making this a favorite destination for the surfers. Swimming, body surfing, sunbathing and tide pool exploration offer fun for the whole family. The park consists of sandy beaches, rocky headlands and sheer cliffs. The original ravine canyon, locally known as Salt Creek, forms the northerly boundary of the beach. You can reach Salt Creek Beach using Ritz Carlton Dr. off the Pacific Coast Highway. Sitting near seaside cliffs and tucked below The Strands community, Strands Beach offers public access to waves and wonder. Parking at Strands Vista Park, which sits above the beach giving way to stunning views of the coast, is free, making it the perfect place to come for the day. While there are a lot of stairs to walk down, the beach is handicap accessible via a free incline elevator. Be sure to check the hours of operation since it is not available 24/7. There are restrooms and showers available, but no snack bars, so be sure to pack a picnic and water. Strands Beach is also a marine conservation area, making it an incredible place to explore tide pools. You are not allowed to collect anything from the beach, but there’s no limit on the photos and memories you can walk away with. If you need to get out of the sun or grab some food, Dana Point beaches are near extensive food, attractions and shopping. After a few hours at Baby Beach, bring your family to the Ocean Institute just steps away. The Ocean Institute is part aquarium, part educational facility and 100 percent awesome. Using the ocean as a classroom, they inspire children and parents alike to learn. The Ocean Institute offers whale watching tours, guided exploration of historical ships docked in the harbor and up-close-and-personal interactions with local ocean life. After a day at Doheny State Beach, you can stop in at the rooftop bar at DoubleTree Suites at Hilton Doheny Beach to enjoy happy hour as you watch the sunset over the palm trees and surfers using the final rays of light. Or head to the heart of Dana Point Harbor. Locals love to fuel up with a sandwich and coffee at Coffee Importers. You can sit out on the deck of The Harbor Grill to enjoy fresh seafood. Help us keep Dana Point beaches pristine by cleaning up your trash and personal items before you leave the beach. Whether you’re surfing, swimming or simply playing in the waves, know your personal limits and skill level. The ocean is powerful and can be unpredictable. Pick a beach and a surf break that matches your skill level. Stay safe and enjoy your time on the water. When you pack your cooler for the beach, don’t forget a few bottles of water to keep you enjoying the sunshine all day long. One of the best parts of visiting Dana Point is year-round sunshine. But don’t forget to bring your sunscreen! Nothing will put a damper on your vacation quite like a lobster-red sunburn.